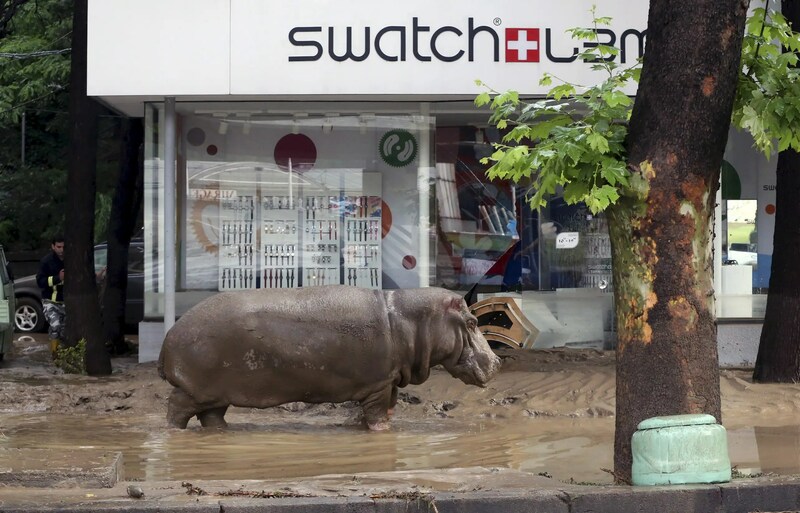 Reuters: A hippopotamus walks across flooded street. 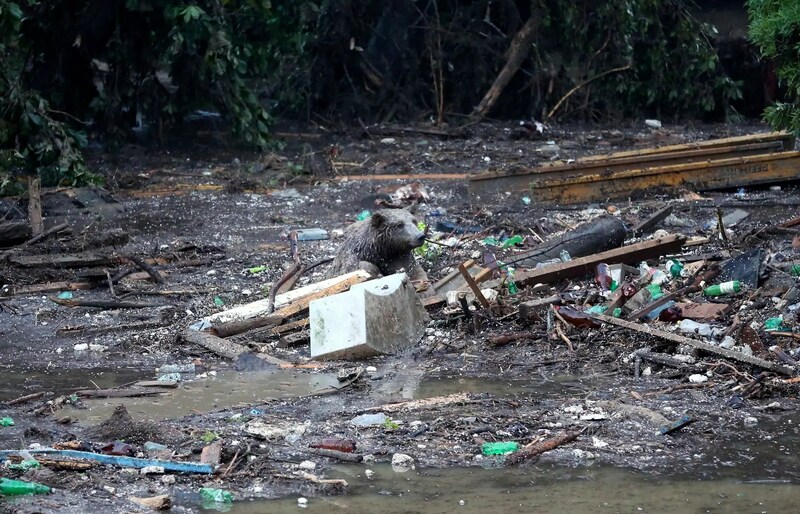 Tbilisi, the capital of Georgia, was in a state of chaos this weekend after a massive rainstorm ravaged the city and set loose dozens of dangerous animals from a local zoo, the New York Times reported. Twenty wolves, eight lions, several tigers and jaguars, and a hippopotamus escaped from the premises and had to be tracked down by local police and zoo staff, Russian news agency Interfax reported, according to the Times. Twelve people were killed in the flood and 24 others are currently missing. 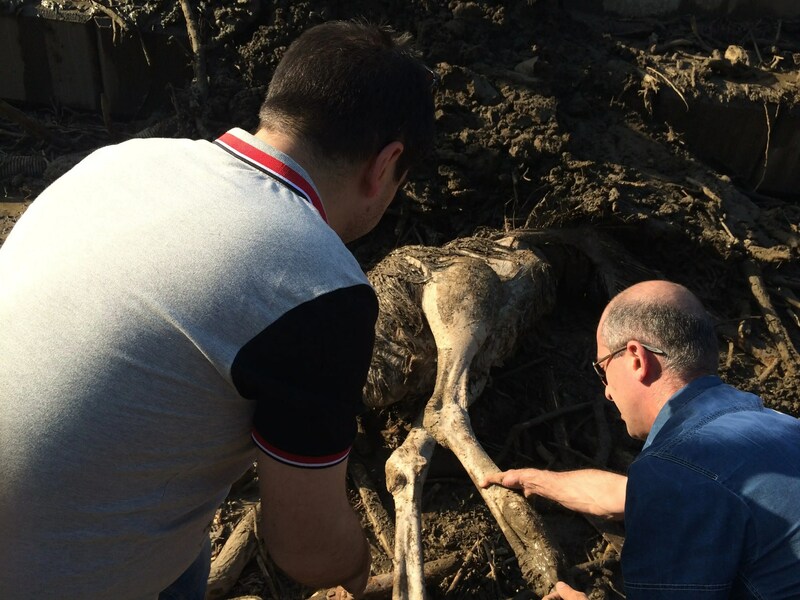 In addition, six wolves found lurking around a children’s hospital, as well as several other animals, were killed during the flood, the New York Times reported. Zoo employee, Guliko Chitadze, who had her arm amputated after being attacked by a Tiger in May, also died on Sunday trying to save the lives of animals stranded around the city, Interfax reported, according to the Times. 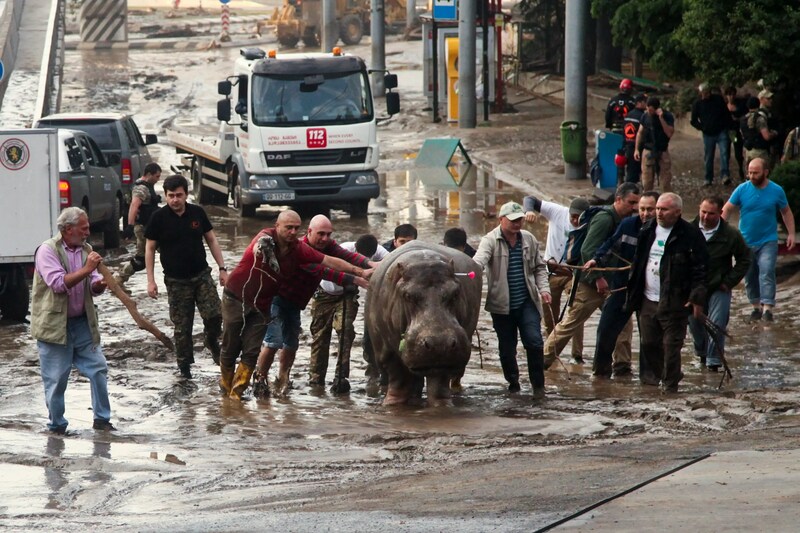 Here are some jarring photos of the zoo animals, as well as the flood damage, in Tbilisi. Some of the animals are still missing, according to The Mirror. 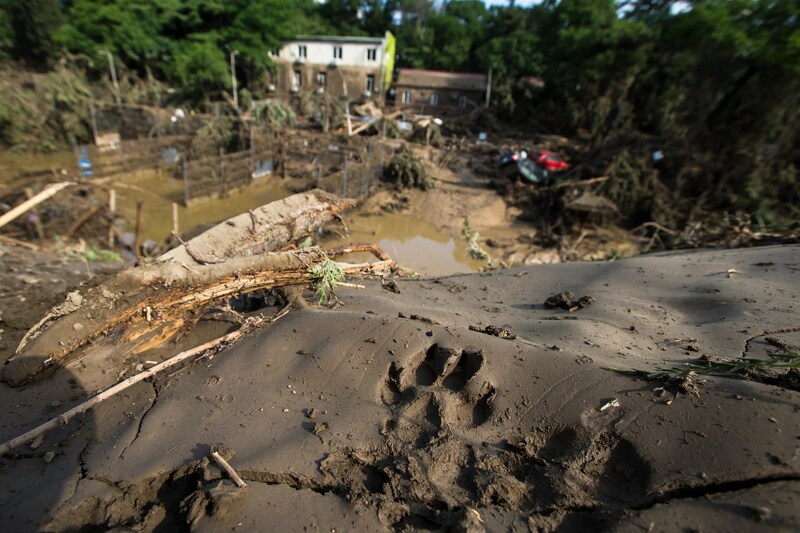 AP: The footprints of an animal are seen in the mud in the grounds of a flooded zoo. 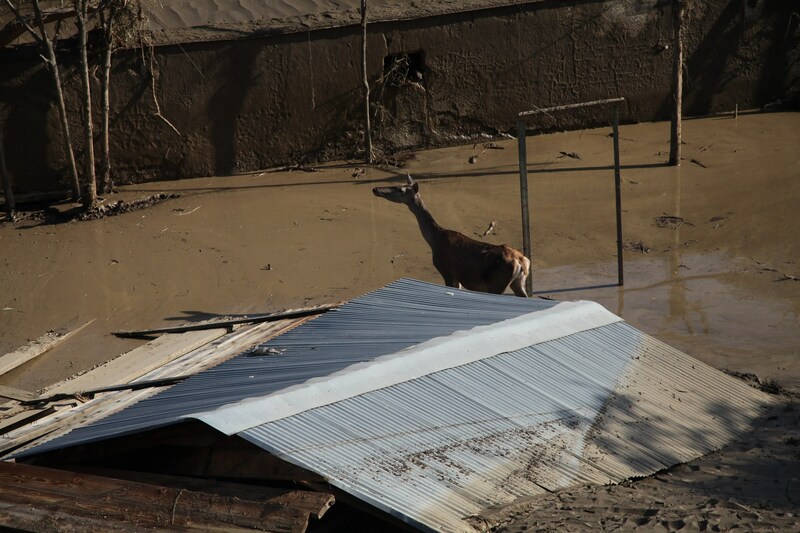 AP: An animal escaped from a flooded zoo stands in mud inside the zoo. AP: A zebra and other animals escaped from a flooded zoo stand on a hill inside the zoo. 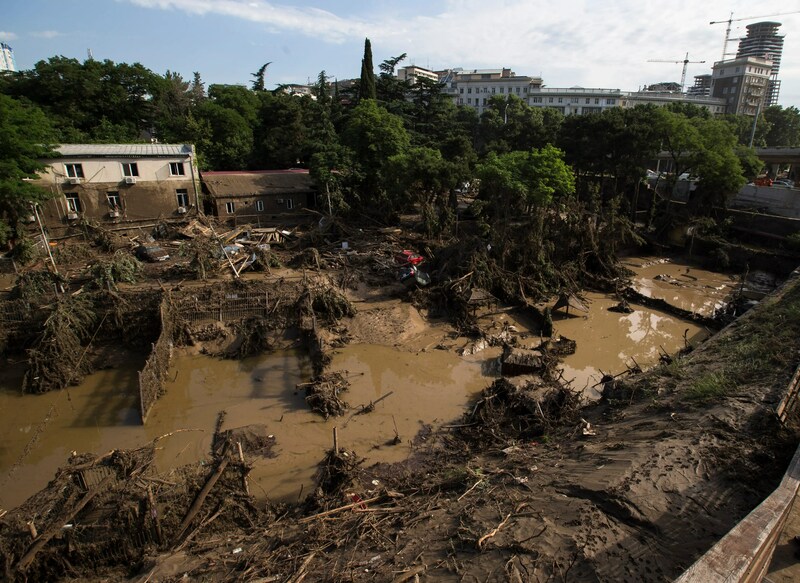 AP: A destroyed flooded zoo area in Tbilisi. 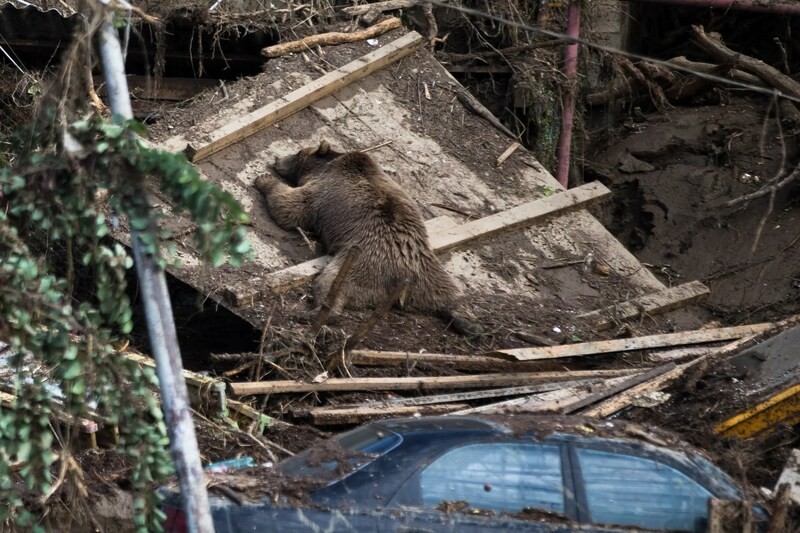 APThe body of a bear lies next to destroyed cars. AP: A bear tries to save itself from a flooded zoo area. 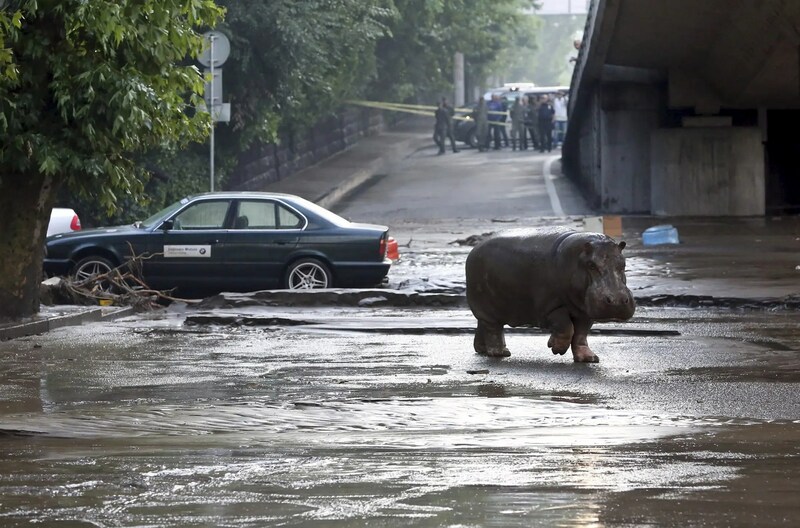 ReutersA man shoots a tranquilizer dart to put a hippopotamus to sleep at a flooded street. 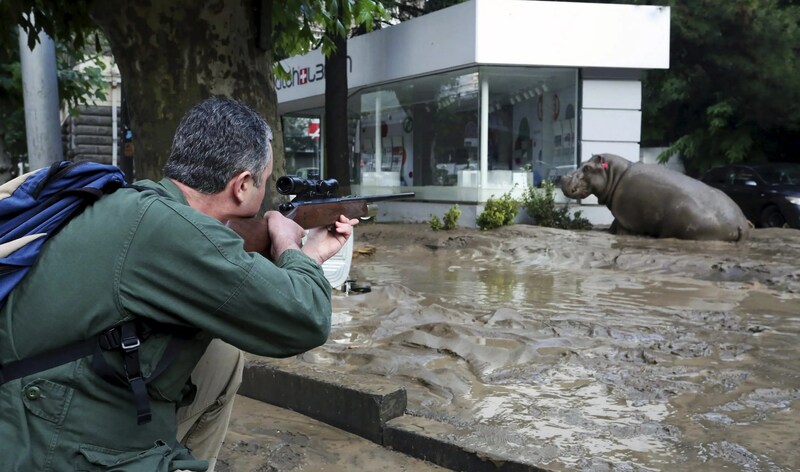 ReutersA man directs a hippopotamus after it was shot with a tranquilizer dart. 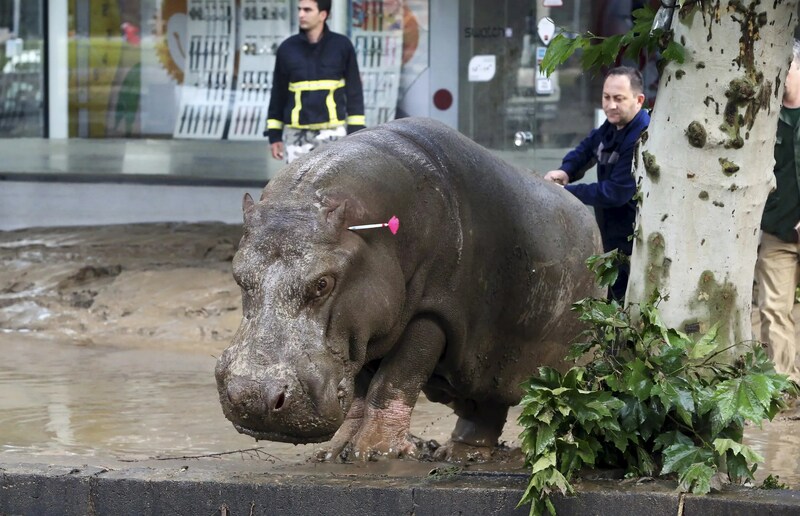 AP: People assist a hippopotamus that has been shot with a tranquilizer dart after it escaped. AP Photo/Tinatin KiguradzePeople try to pull a body of a camel-bird out at a flooded zoo.